Green-Speed SiTM takes a unique, multi-pronged approach to giving golf course professionals a faster ball roll on their greens. Not simply a silica product, Green-Speed Si (0-2-5) is a proprietary liquid formula that combines silica, potassium phosphite, and humic acid to give both a faster ball roll and healthier turf. The silica in Green-Speed Si is taken up through the turf where it strengthens the cell walls of the grass blades. The stronger, more rigid blades allow for a better cut during mowing, which translates to a quicker and more satisfying ball roll. Silica-treated turf also shows fewer ball marks, and thus improves the look and playability of the greens. 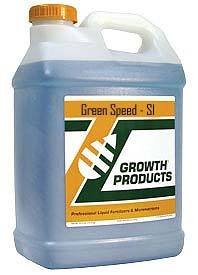 In addition to providing silicone, Green-Speed Si provides the benefits of potassium phosphite. Phosphite is extremely mobile in the plant tissue, and hastens the uptake of the silica and other soil nutrients into the leaf blade. Unlike granular phosphates that can become bound up in soil, the liquid phosphite in Green-Speed Si is always fully available to turf. Green Speed Si’s humic acid promotes turf health and increases the turf’s resistance to disease and pests by providing critical organic material. The humic acid is derived from leonardite, a coal-like substance that is the world’s richest source of humate. 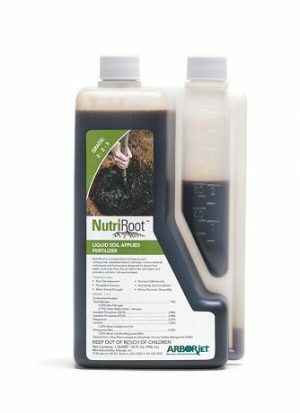 When applied to soil, the humic acid increases beneficial soil microbial activity, improves cation exchange capacity, reduces salt build-up, alleviates soil compaction, and allows for more efficient nutrient uptake. Application rate: 3 to 4 oz. per 1,000 sq. ft.